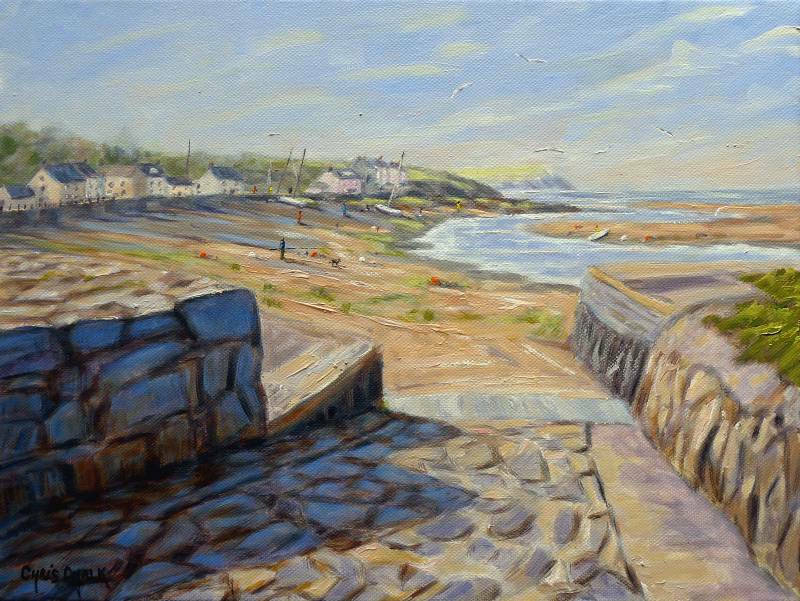 A painting of warm morning sunlight across the Parrog in Newport, Pembrokeshire. One of the most picturesque harbours on the west coast of Wales, Newport and the Parrog is a wonderful place to visit and spend time. You can see Dinas head in the distance in the painting.